In a small gold mining and maize farming area just south of Johannesburg, South Africa lays the small insignificant town of Balfour. On February 4th 1909, young Ned Williams was born there, to later become quite a famous stage magician and illusionist in the history of magic. Young Ned saw his first magician, an ex-serviceman perform at his local primary school and who at the time he didn’t think was particularly good, but seeing magic performed on the school stage piqued his interest and decision to become a magician. At age twenty Ned left South Africa and moved to London. He managed to obtain a job at Gamage’s Department Store in the toy department where they sold magic tricks. While demonstrating magic to the public, he began to build up his own magic act. He began performing under the name “Ned Williams the Boy Magician from South Africa”. Then by age 23 he was performing with the Maskelyne Mystery Show throughout London. His early act consisted of cigarette productions, the torn and restored newspaper, cut and restored rope, a book test, concluding with the production of a girl from a previously shown small empty box. By 1937 he had changed his name to Robert Harbin and became the first illusionist to move from a stage performance to the fledgling medium of television, appearing on the BBC – T.V show “Variety”. He then began his own T V show in 1940. Robert Harbin while not a performer with a huge stage production, he was never the less a master of illusion and a highly creative writer of magical books. He was continually writing down notes and ideas for his tricks, as they presented themselves while designing and inventing a number of classic illusions. His instructions often had to be modified and altered by the illusion builders, as his notes were not always clear cut. But the end results were really incredible. He never considered rewriting his ideas and would often send off his magic trick ideas before they were fully explained or developed. Fortunately he had editors and ghost writers who would revise his work, so that when it appeared in print it was far more legible and comprehensible. His creativity was unique and expansive. Notably his greatest illusion was ‘The Zig Zag Lady’ that has seen thousands built around the world. It still continues to amaze and bewilders people everywhere, even if they know the secret. He also designed the Aztec Lady illusion that is still performed today and his Little by Little illusion. The Zig Zag features a lady who enters a cabinet and then two steel blades are passed through her body supposedly cutting her into three pieces. The illusionist then pushes the centre part of the cabinet away that appears to literally Zig-Zag her body into 3 sections, yet her face and tummy and feet are still seen. It is truly an amazing illusion. 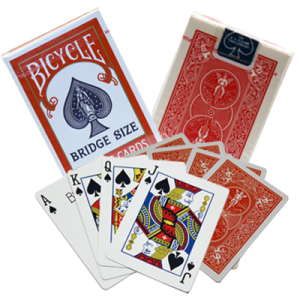 The Zig-Zag evolved and developed from the original Zig-Zag format into the Quad Zag illusion that has also been built by the hundreds and performed around the globe. Both are really magical. While noted for his fascinating larger illusions Robert Harbin also designed and built a small, rather unique piece of apparatus called “Harbin’s Forth Dimension Cabinet”. This narrow box with holes through it, so that spectators could see inside had a piece or rope inserted into one end, then turning a dial, the rope fed through the device coming out the other side full of knots. Finally a steel rod passed through the entry hole seemed to bend to 90 degrees as it emerged out of the top of the cabinet. This effect is weird and extremely rare and one recently went on sale from a deceased estate for around $1500, which is quite a lot for one magic trick, but a real puzzler. Around 1963 Harbin became interested in the Japanese paper folding craft of ‘Origami’ and even wrote a number of books on the subject. 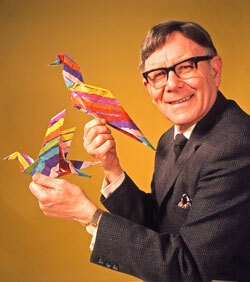 He became the first Westerner to use the term “Origami” and even had a television series for children devoted to the subject. His range of Origami books are still sought after and can be found in many public libraries and schools. In 1970 Robert published a limited edition of 500 copies of his book, “The Magic of Robert Harbin”, considered by many to be the Holy Grail of Magic Books’. This rare book has become a highly sought after collector’s item and copies if you can get one sell in excess of $2000. The South African Magical Society of which I am a member managed to purchase a copy shortly after publication and had two illusions from the book built, namely the ‘Zig –Zag’ and ‘Little by Little’ and we performed both of these in society shows. The Little by Little Illusion was a large cabinet consisting of 4 stacked boxes that the lady enters. Each box door is closed and the 4 boxes are removed from the cabinet and mixed up on stage, and then reassembled in a different order. When the doors of the boxes are opened it shows the lady all mixed up with her feet showing where her head should be, and the rest of her mis-made body quite disjointed. The boxes are again rearranged and when opened up, the lady appears once again as she should be, whole and unharmed. Harbin’s book contained the full working blueprints to build these illusions and I used it to build my own chair suspension. The lesson that Harbin gave magicians was the methods and plans to build his illusions but with limited copies of his book printed, it kept his illusions fairly exclusive. Some of the illusions graphically described in Harbin’s 193 page big book, features classic magic tricks with that special Harbin methodology include: The Vanishing Vase and Flowers, his Vanishing Radio, Folding Trolley, Cage to Bouquet and Vanishing Bird Cage, The Upside Down Production Box, Super X Levitation, etc. A real Pandora’s Box of wonderful magic tricks. The limited edition ensures that only the serious magician will gain access to the secrets it contains. The book has become a series of magic lessons to be treasured. 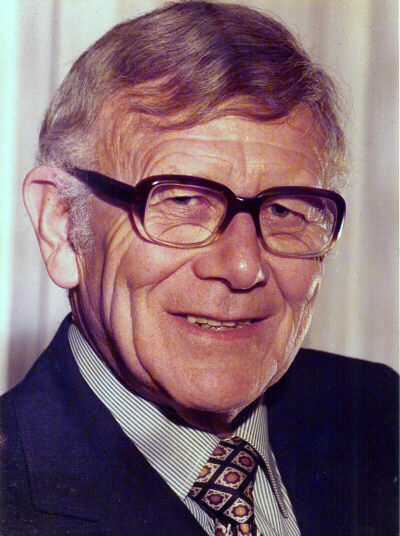 Robert Harbin passed away in 1978 and his remains are interred at Golders Green Crematorium in London. Fortunately there are video clips showing Harbin performing his Zig-Zag and worth a visit to YouTube. Eric Lewis’s 1997 book “The Genius of Robert Harbin” pays tribute to his prolific mind and fine creator and magical performer. Robert Harbin will indeed be well-remembered in the history of magic for his contribution to our fascinating art, to encourage others to follow after him and keep alive our traditions.